When used with a bit of caution and common sense under proper adult supervision, bicycles, scooters, rollerblades and skateboards can be an excellent way for children to get some exercise, develop gross motor control, and burn off all that energy. But they are not without their risks. Possible injuries that can be caused while riding include cuts, bruises, pinches, sprains and strains, broken bones and fractures, head injuries including concussions, and even death. The Consumer Product Safety Commission’s (CPSC) National Electronic Injury Surveillance System (NEISS) estimates that there were nearly 240,000 reported cases of injuries to children under the age of 18 caused by bicycles and tricycles that were treated in hospital in the United States in 2014. Ensuring your child is wearing an approved helmet when riding their bike, even if it’s just a short distance is one of the best ways to protect your child. Three quarters of all American children ride a bike each month, but only about half of those wear a helmet every time they do so. Wearing a helmet is the easiest and most effective way to reduce bike-related head injuries. 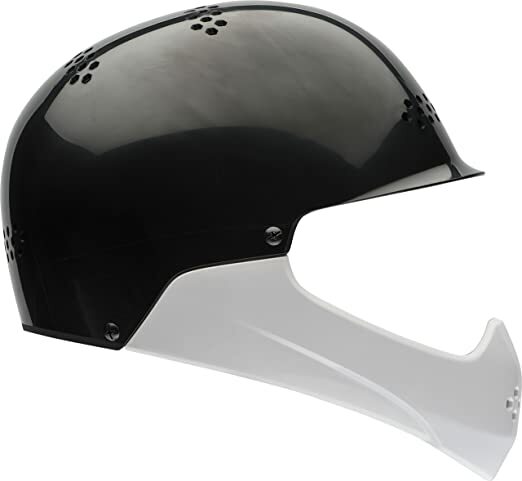 The CPSC and American Society for Testing and Materials (ASTM) test helmets to see if they comply with certain minimum standards. Look for one of their certifications on a product you’re considering purchasing for your child to ensure additional safety. 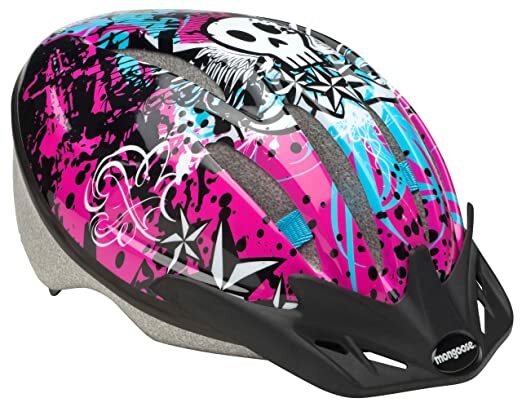 With the above tips in mind, in no particular order, here are 50 of the best bike helmets for kids we consider to be the safest, based on available features and average customer reviews and ratings. 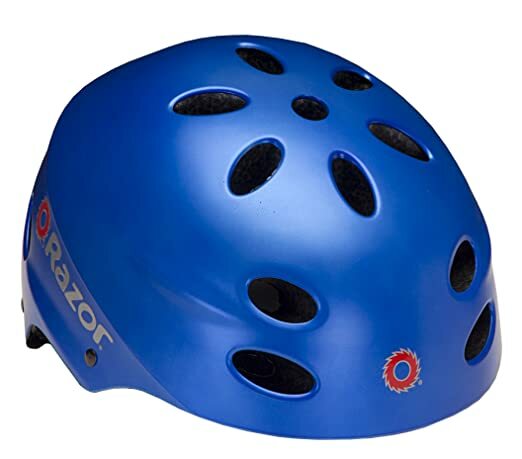 This child’s helmet features a smart design that is cutting edge and is suitable for use in a number of different sports including cycling, skating and rollerblading. 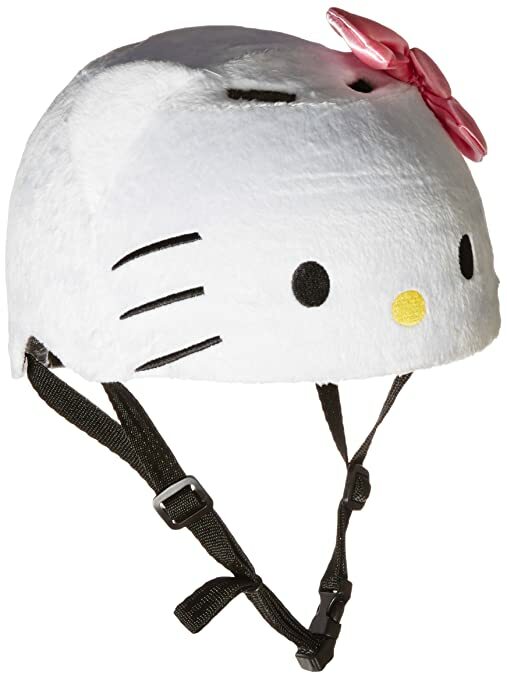 This cute, little Hello Kitty helmet features a hardshell design to help protect your little one’s noggin no matter what sort of adventure they’re on. 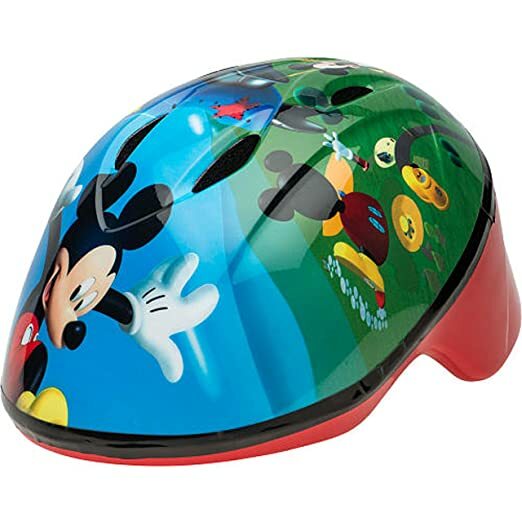 This helmet features a hardshell design to help protect your child’s head and features a cool Cars motif for your little race fan. There are a number of matching accessories for a complete Lightning McQueen look. 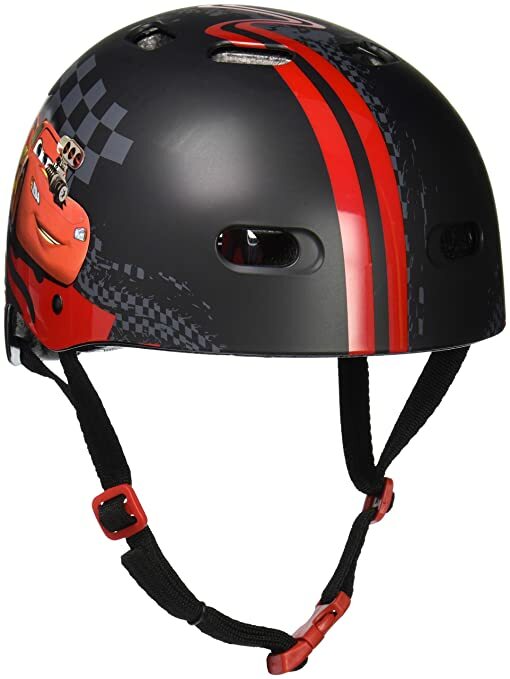 This heavy duty helmet features a vented EVA-lined chin bar around the face to provide additional coverage and protection. Built-in cheek pads and side squeeze buckles allow you to find the perfect fit for your child. This cool-looking helmet features a dial easy fit retention adjustment to provide a quick and comfy way to adjust the fit on the fly. 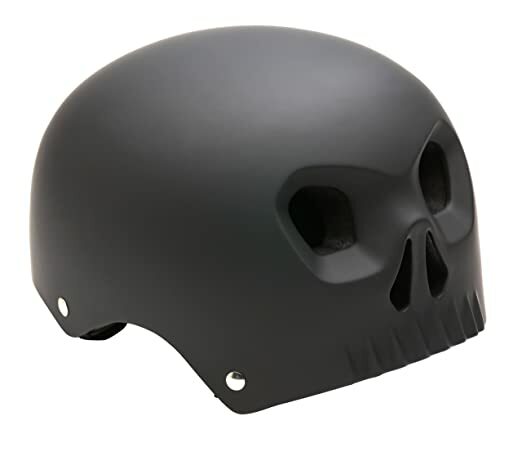 This helmet features a ghoulish design and matte black finish with a tough outer shell to help protect your child’s head from falls and bumps. 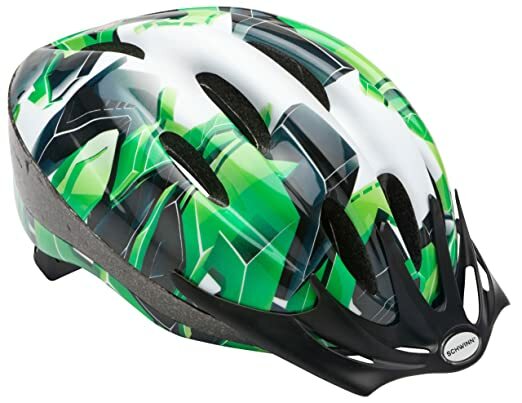 This stylish helmet features a translucent hardshell design that provides your child with maximum protection and a funky pattern underneath. It also boasts internal air channels to increase airflow to help keep your child comfortable. 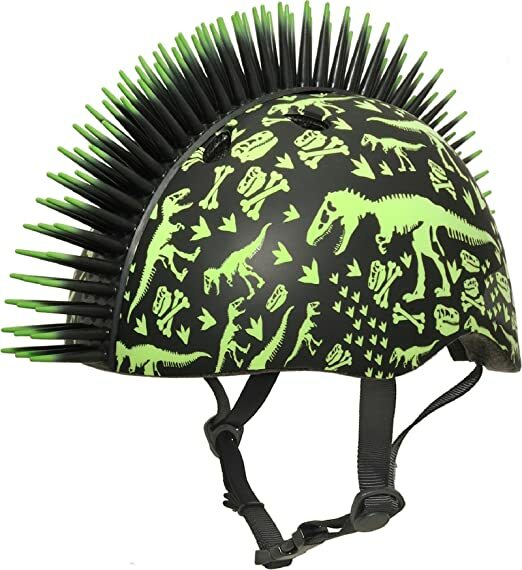 This super cool dinosaur-themed helmet features a fun spike design on the top and features a shock-absorbing EPS inner shell to help protect your child’s noggin. 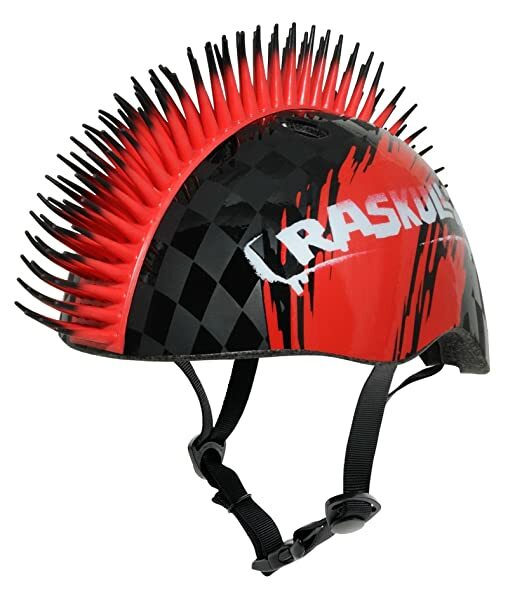 Your child will be one cool-looking dude on the bike path or skate park with this spiky-topped helmet. It also features a shock-absorbing EPS inner shell and comfortable, adjustable nylon straps. Spiderman, Spiderman, wears his helmet wherever Spiderman goes. 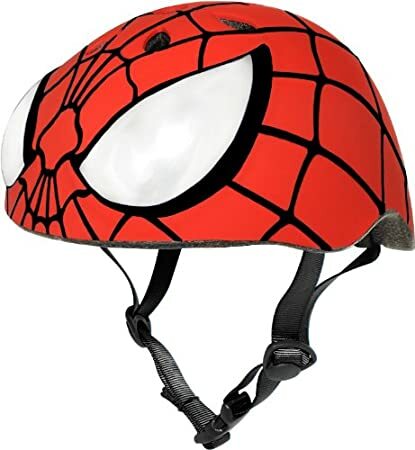 This Spidey-themed helmet features a shock-absorbing EPS inner shell for additional protection and an easy to adjust chin strap. 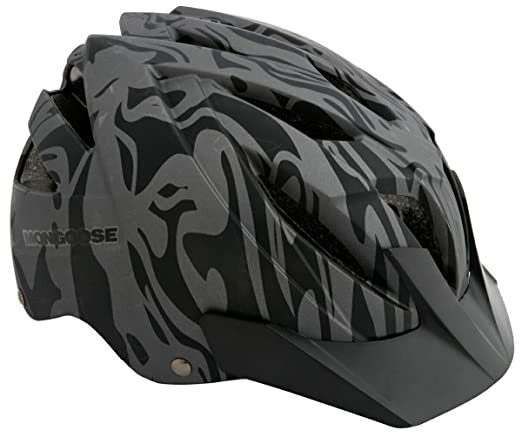 From one of the best-known names in cycling, this helmet features a dial fit adjustment system that provides 100% adjustability perfect for both larger or smaller heads. Interior heat sealed pads provide additional comfort for your child. 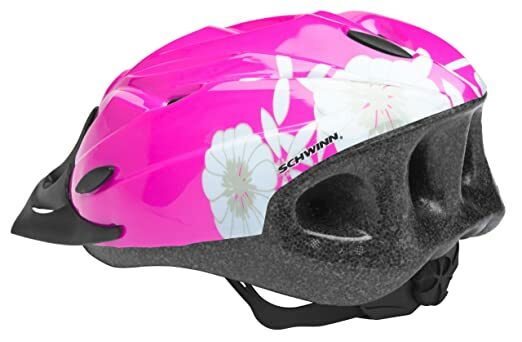 This bright pink helmet features a sweet, floral motif and a dial fit adjustment system that is 100% adjustable for larger or smaller heads. Side strap adjusters help to ensure the perfect fit. 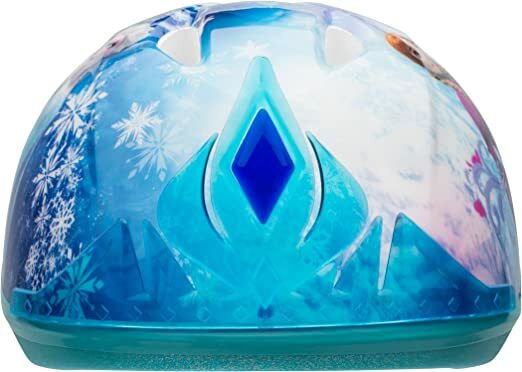 Your child will be queen of the ice and snow with this Frozen-themed helmet featuring Elsa and Anna and an icy-looking tiara on the front. Suitable for children aged 5-8. 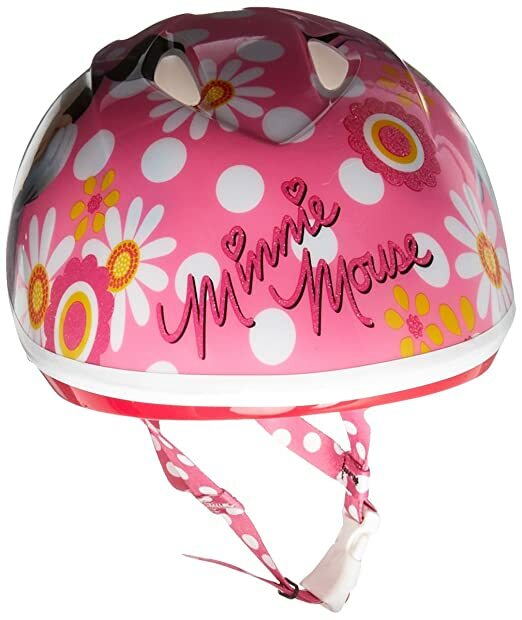 This adorable helmet features a fun and sweet Minnie Mouse design, along with high impact reflectors to help increase your child’s visibility. It features a number of vents to help keep your little one comfy and extended rear coverage for additional protection. 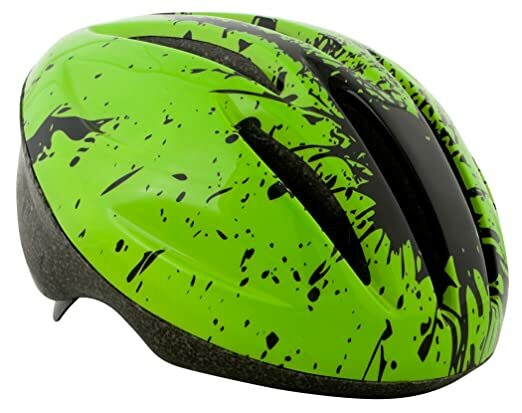 This vibrant green helmet is ASTM approved and boasts a dial fit adjustment system that provides 100% adjustability for larger or smaller heads. Side strap adjusters help to ensure the perfect fit. Finding the right fit for younger children’s helmets can be particularly tricky but this infant-sized helmet boasts a dial fit adjustment system that provides 100% adjustability that suits larger or smaller heads. 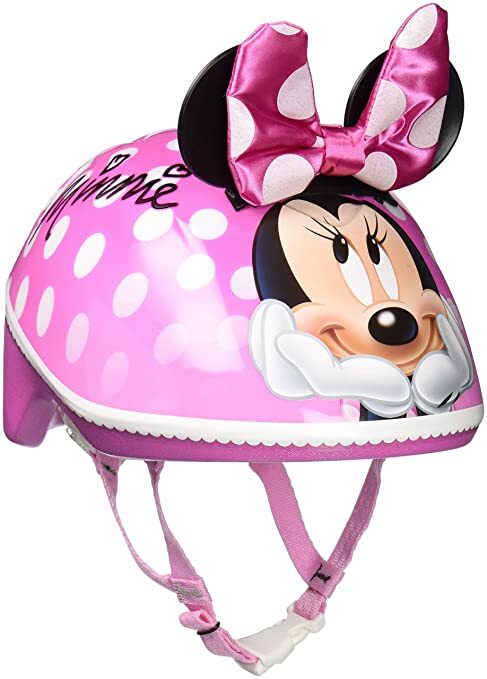 This super cute bike helmet features a 3D Minnie Mouse design with fabric bow and ears that can easily be removed. The glittered bottom wrap adds an additional level of style to your little one’s head protection. 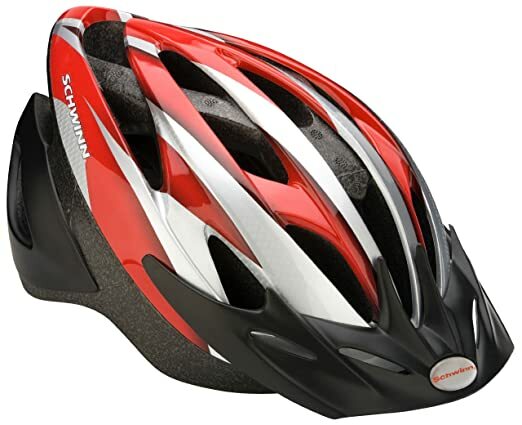 This hardshell helmet is ideal for use in a variety of sports to protect your little one’s head and is recommended for children aged 7-12. Your child will look sporty and cool while staying safe on their bike, scooter or skateboard. 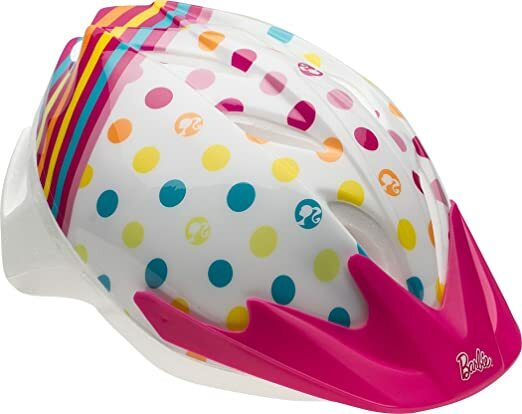 Recommended for children aged 3-5, this helmet features a true-fit system that helps you find the perfect fit for your child. With just one simple adjustment, you can have the right fit every time. 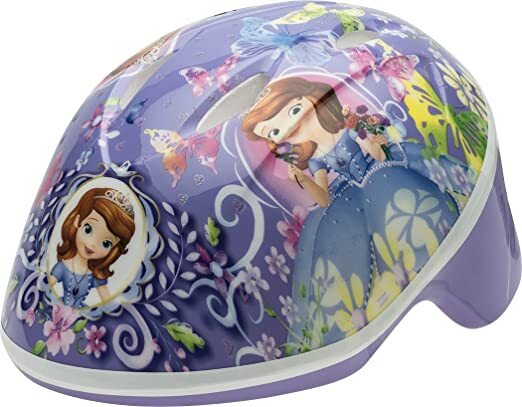 This princess-themed helmet features a number of vents to help keep your little one cool and comfortable and boasts the brand’s true-fit sizing system to help you find the right fit every time with just one simple adjustment. Thanks to its dial fit system, you can adjust this helmet to find the right fit for your child quickly and easily each and every time. It provides a stunning look while still being comfortable to wear. 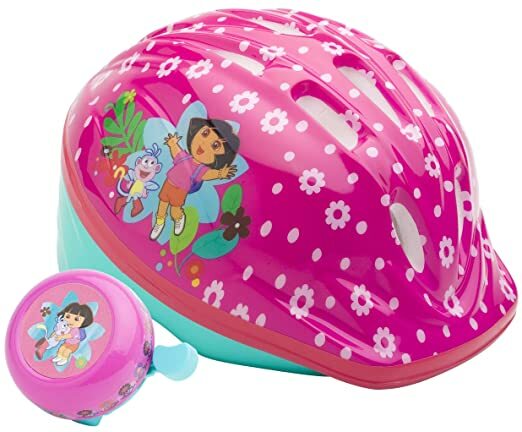 This Dora the Explorer-themed helmet comes complete with an integrated visor for additional protection from the elements and features a number of vents to help keep your child cool and comfortable. 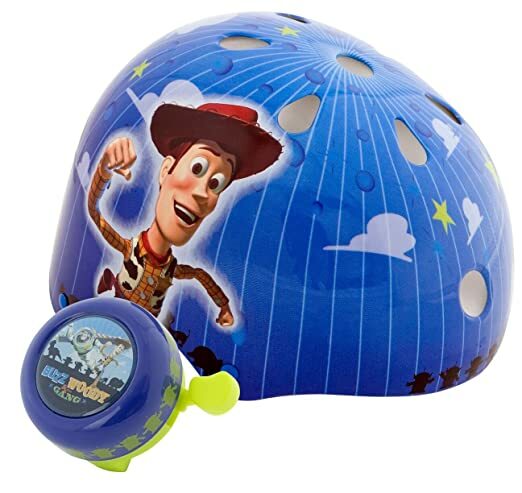 Wow your little Woody and Buzz fans with this helmet value pack that boasts a helmet that is suitable for a number of different sports. There are several vents to provide your child with a comfortable all day fit. 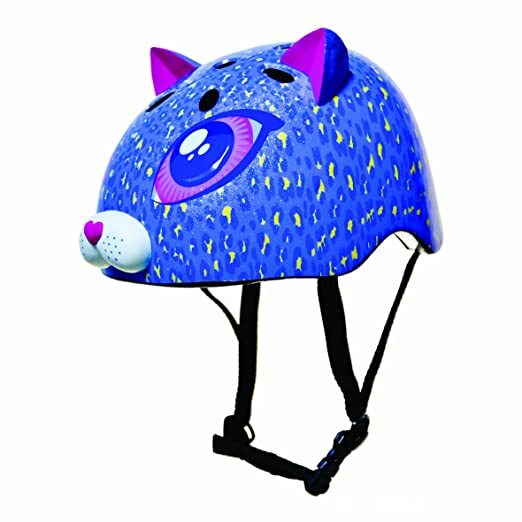 Your little cutie will be stylish and protected in this sweet, little cat-inspired helmet that features a shock absorbing EPS inner shell and adjustable straps to help ensure the perfect fit every time. 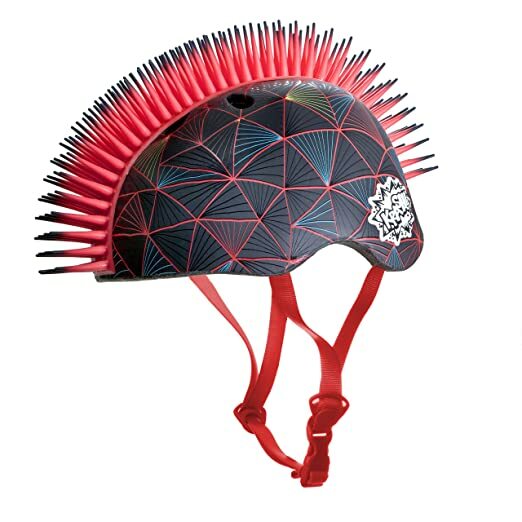 This spike-topped helmet features a shock absorbing EPS inner shell and adjustable straps to provide your child with a comfortable fit all day long. 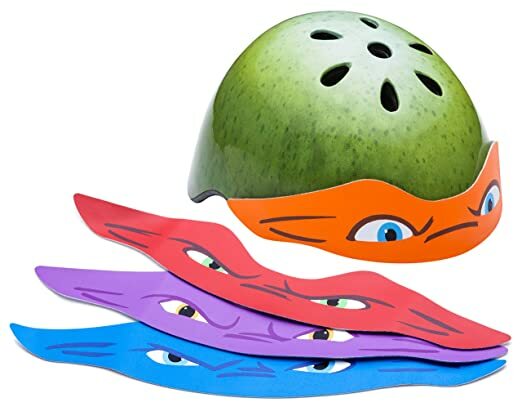 This totally excellent themed helmet features four interchangeable masks, so your little one can look like his or her favorite Ninja Turtles character. The sleek, multisport look boasts several top air vents to help keep your little one cool and comfortable. 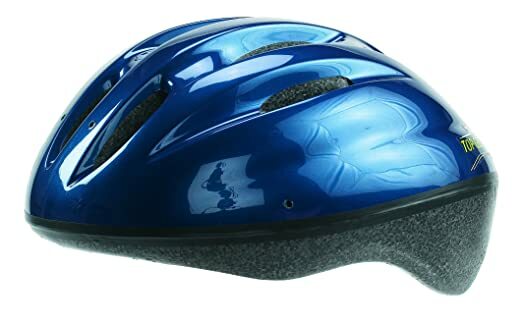 This basic helmet will provide your child with protection while out and about on the bicycle. It’s made in the USA and is recommended for children from aged 3-7 or with a head size of 20-21 inches. 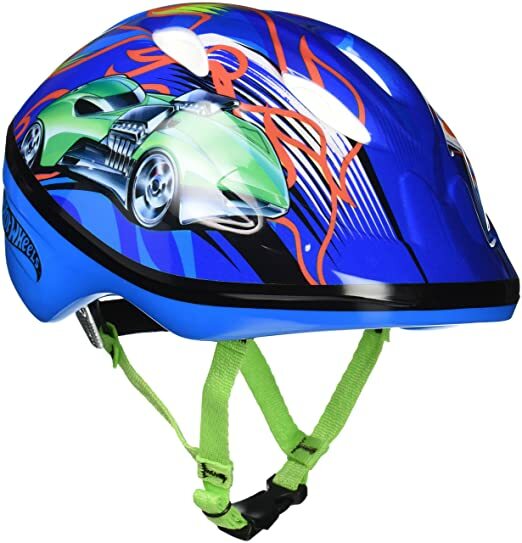 This cool-looking helmet features a sleek and sporty design with Hot Wheels motif and high impact reflectors to provide your child with increased visibility. 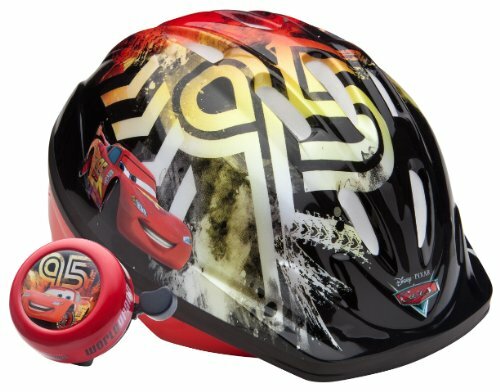 Perfect for the Lightning McQueen fan in your life, this helmet features an image of the famous racer himself and comes complete with a matching bell for the ultimate safety package. 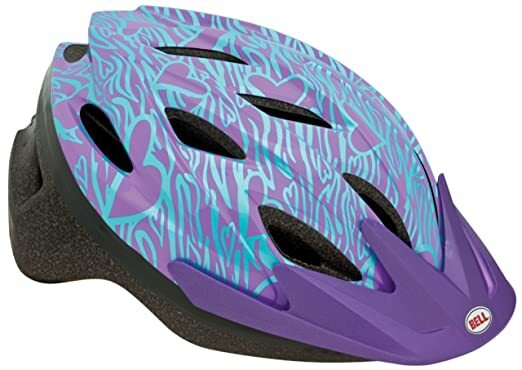 This sporty-looking helmet is available in multiple colors and sizes to suit nearly any little rider’s style preferences and features an easy to use twist retention system to help find the perfect fit for your child each and every time. 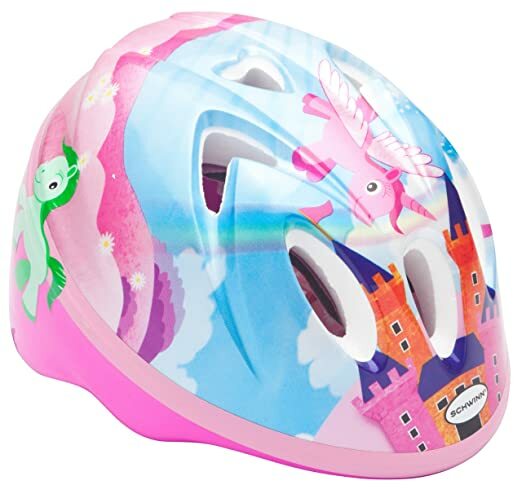 This helmet features an adjustable dial to help you find the perfect fit for your children every time they ride, and adjustable straps complete the package. This helmet offers the ultimate in adjustability thanks to its dial adjustment system and side adjuster straps. Heat sealed interior pads give additional comfort to your little one. 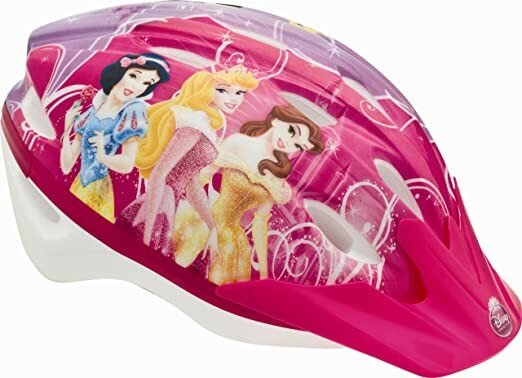 This fun Barbie-themed helmet boast the brand’s true-fit system that helps you find the perfect fit for your child with just one single strap adjustment. Your child will be visible thanks to high impact reflectors. 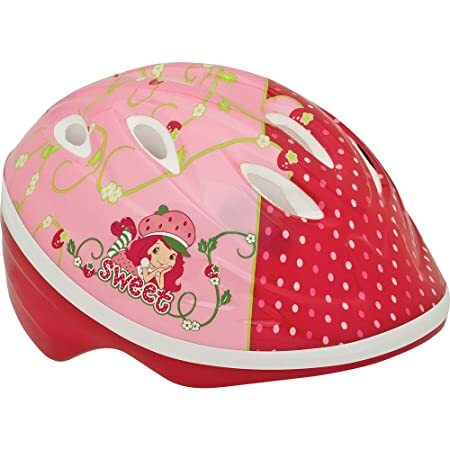 This sweet little helmet features an adorable Strawberry Shortcake design that’s sure to set your little one apart on the road. 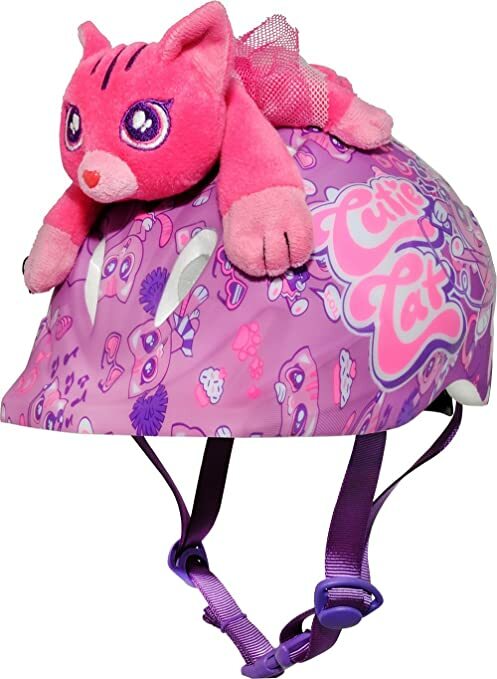 Recommended for children aged 3 and up with a head size of 18.75-20.5 inches. 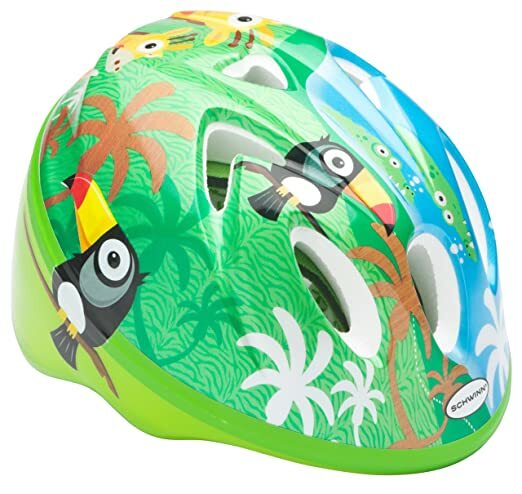 This cute, gender neutral helmet features a fun, rainforest design and boasts a 360-degree internal padding system to provide a comfortable fit for your little one. 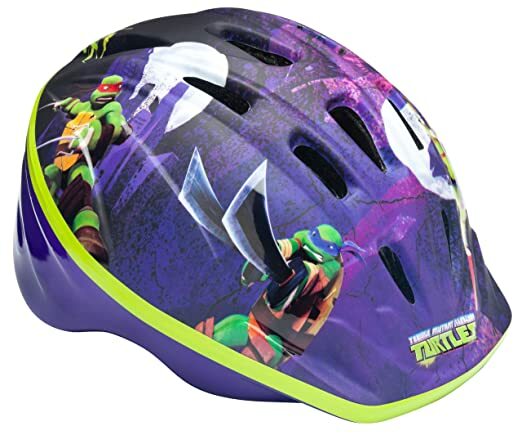 The lower molded shell provides your child with added protection from injury. 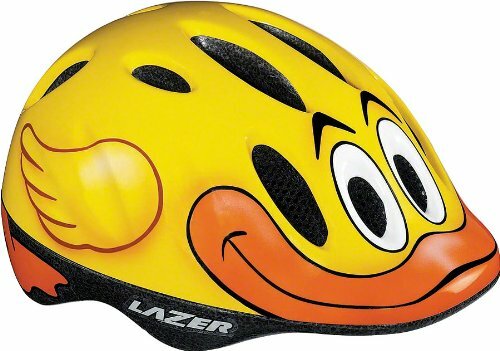 This helmet is recommended for children aged 3-5 with a head size of 48-52cm and features high impact reflectors to help increase your child’s visibility. 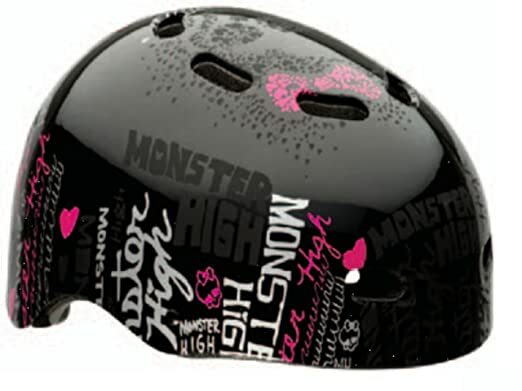 This helmet features extended rear coverage to help protect your child’s head even more from accident or injury. Recommended for children aged 3-5. 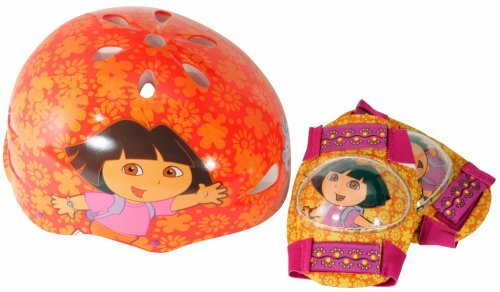 This helmet features a fun design featuring everyone’s favorite explorer and comes complete with a matching set of knee pads for additional safety and protection. 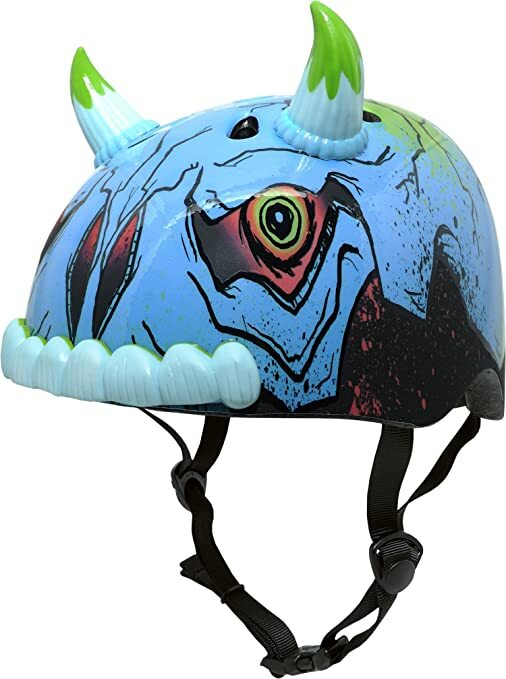 Your little one just might be one of the most terrifying kids on the block with this monster-inspired helmet. Recommended for children with a head size of 54-58cm. 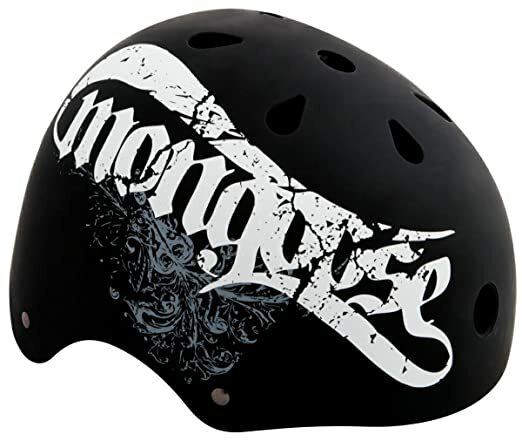 This sleek helmet offers a protective design that’s suitable for use in a number of different sporting activities. It’s easy to find the perfect fit and make adjustments on the go with the D-Tox retention system. 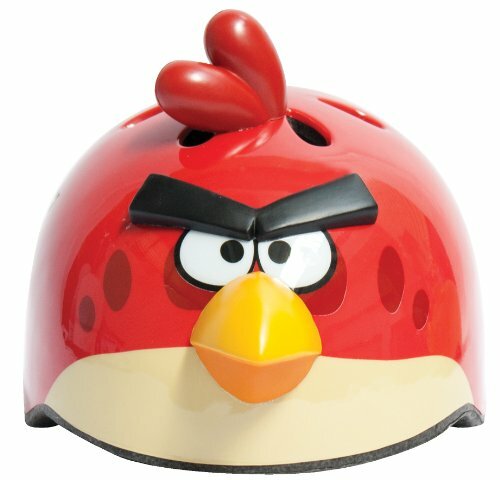 Based off the popular video game, this Angry Birds helmet features the classic red bird design and even features the iconic sounds from the game thanks to an included sound chip. 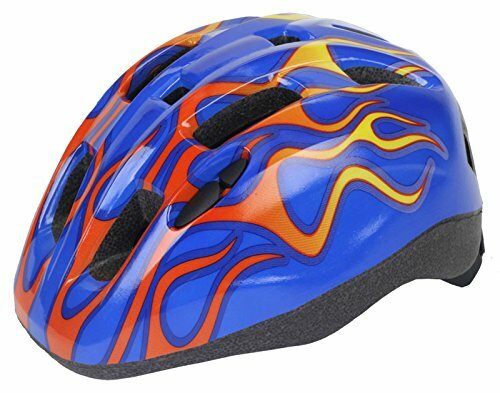 This helmet features a snazzy design with an integrated visor to help protect your child from the elements. Recommended for children aged 5-8 with a head size of 52-56cm. 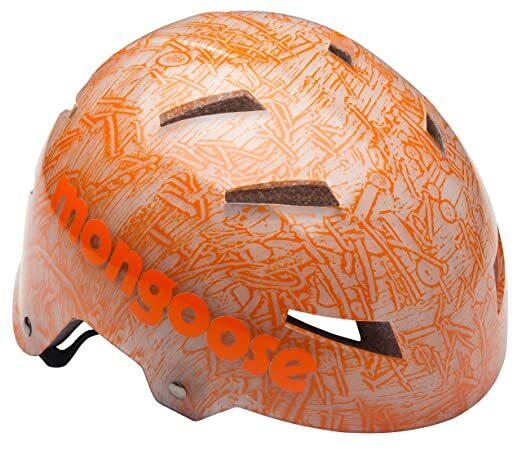 This cute, little duck-inspired helmet features a bright and fun design that is also comfortable to wear thanks to its dial fit retention system that adjusts with the turn of a knob. 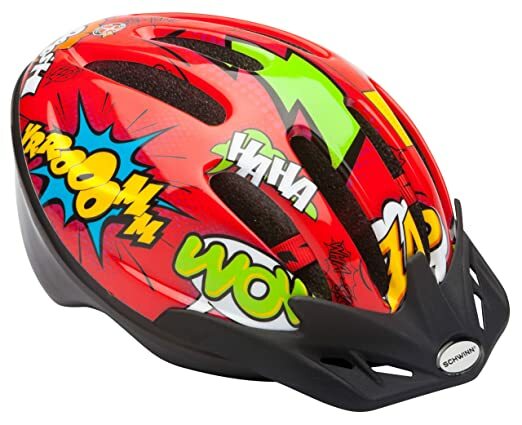 With a sleek multisport design and a logoed shell, this hardshell helmet can handle nearly anything your child throws at it. The internal pad system is 360 degrees to provide a comfortable all day fit for your child. 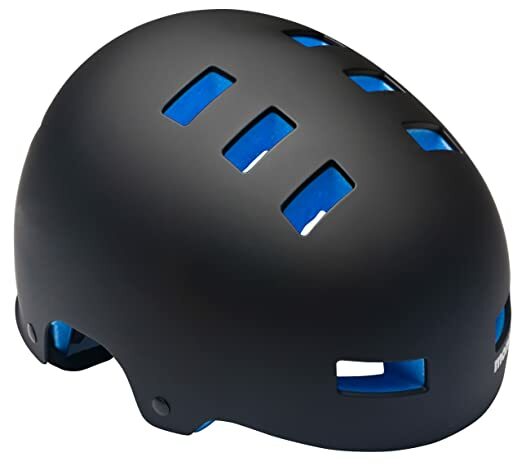 This stylish helmet provides multisport protection for your child whether cycling, blading, or skateboarding and is both CPSC bike and ASTM-1492 skate compliant. Find the perfect fit with this helmet’s easy to use dial adjustment system that’s perfect for larger and smaller heads alike. Thanks to its large padding system, your child will ride safely and comfortably all day long. 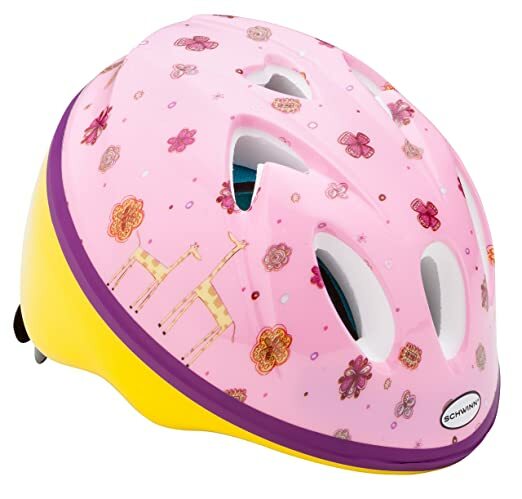 This helmet offers super cute head protection for little girls and features an attached plush atop a well-vented helmet with easily adjustable straps. 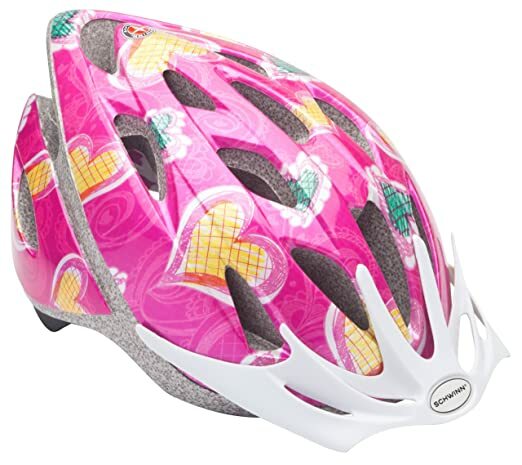 This whimsical helmet offers reliable head protection for the littlest of riders and is specially designed to fit children aged 3 and under. Extended rear coverage and the lower molded shell provide additional protection. 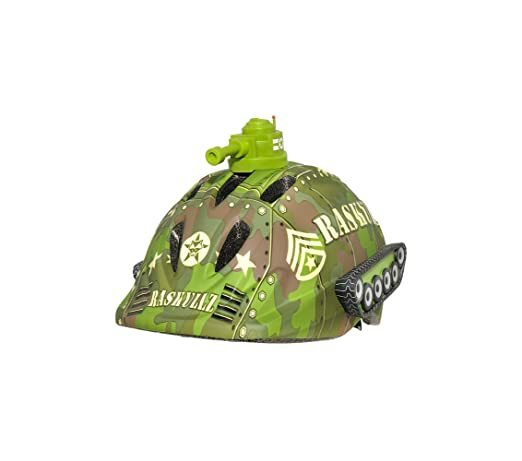 This super cool army-inspired tank helmet features a 3D design that’s sure to wow any budding war hero and is suitable for children with head sizes from 50-54cm. 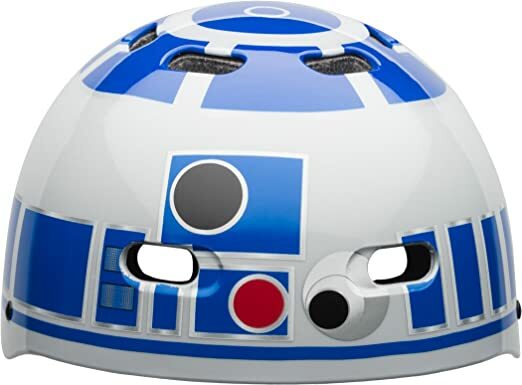 The head-protecting force will be strong in the one who sports this R2D2 multisport helmet. 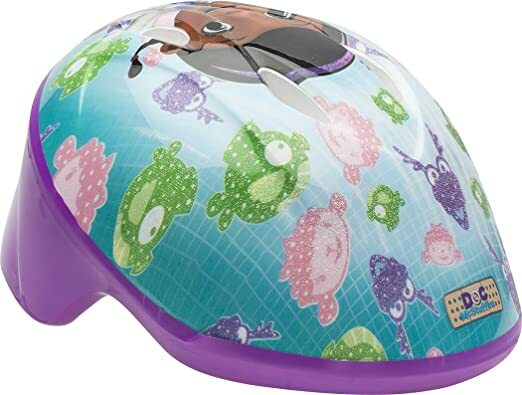 Suitable for children with head sizes of 51-54cm, it features a hardshell design to help keep your little one’s noggin safe.